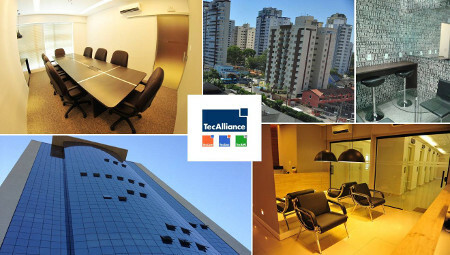 The subsidiary TecAlliance do Brasil Sistemas de Informações Ltda., newly founded in June 2015, moved into their new office space in the 800,000-inhabitant city of São José dos Campos in August along with two additional employees. The technology centre is located between São Paulo and Rio de Janeiro and serves as the headquarters of many well-known companies from the automotive and aerospace industries in South America. Alongside Heloísa Monzani, who as Regional Sales Director Brazil is responsible for TecAlliance’s business development in South America, customers can now benefit from two additional contact persons: Daniele Cristina da Cunha strengthens the company in Sales Services while Rodolfo Barbosa dos Santos looks after customers in First Level Support. “I am pleased that our two new employees will now help us establish the TecDoc parts catalogue as the leading system for the independent automotive aftermarket in Brazil. Our increased local presence will allow us to respond even better to the needs of the market,” says Monzani. The new premises of the Brazilian TecAlliance subsidiary.